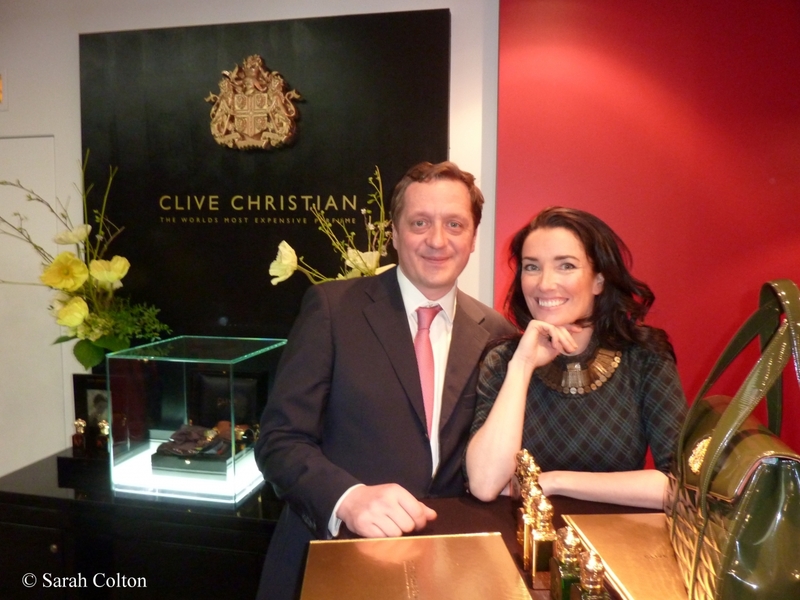 François Hénin and Victoria Christian of Clive Christian Perfumes at Jovoy Meet The Press Event on April 21, 2013. In typical Jovoy fashion, champagne was flowing, and François was the perfect Ambassador for his brands. 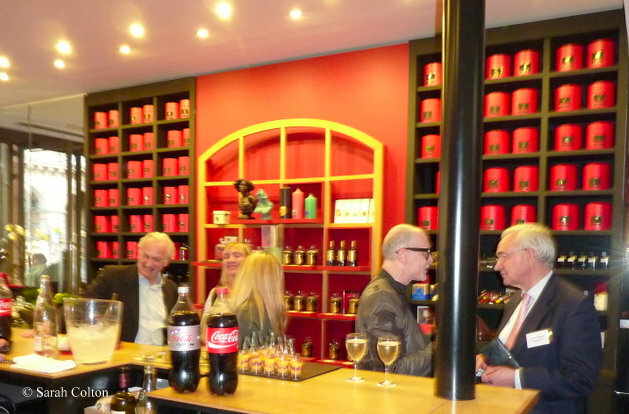 Other perfumers and brand owners at the event included Roja Dove of Roja Parfums London, Simon and Amanda Brooke, of Grossmith London, Elise Juarros and Rose Vaia of Coquillete Paris, owner Gilles Thevenin and perfumer Thomas Fontaine of Lubin, Andy Tauer of Tauer Parfums , Celine Verlure of Olfactive Studio, Ramon Monegal of Ramon Monegal (Barcelona), Stefania Giannino of Nobile 1942, and Cécile Zarokian independent perfumer. Before going to the Jovoy Press party I stopped in the Café Castiglione (around the corner from Jovoy), and happened to notice an elegant woman sitting at the bar, working on her computer. When I realized it was Celine Verlure, I congratulated her on her Fifi award the night before for her niche brand, Olfactive Studio. Céline said she had been at Jovoy most of the day, and was taking a break to respond to some of the congratulatory emails on the Fifi win. 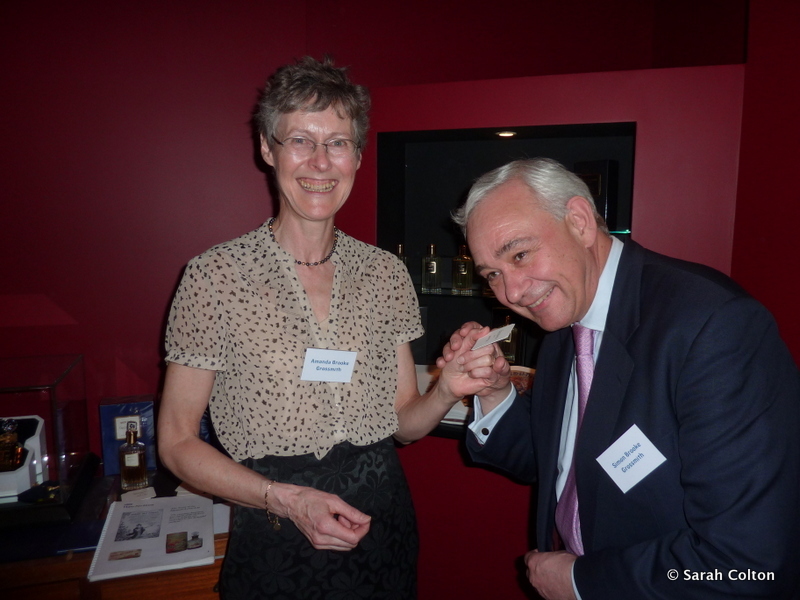 Amanda Brooke holds a fragrance blotter while Simon Brooke, owner of Grossmith London smells Hasu No Hana, (lotus lily) a sophisticated and full-bodied floral chypre, and my favorite of the Grossmith perfumes. Originally created in 1888 by Simon’s great grandfather, it has been reconstructed by Richard Melchio (Robertet) based on the original formula. 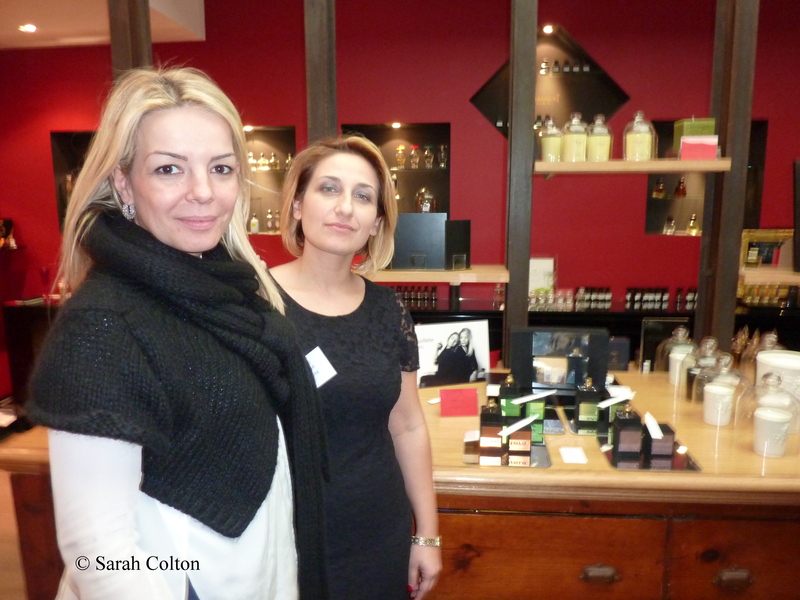 Stefania Giannino of Nobile 1942 looks on while guests sample a fragrance.